This critical program is about HEROES OF THIS ERA. The modern liquid society is that one where conditions of action of its members change before the forms can be consolidated in certain habits and in a routine. This, obviously, has its consequences on individuals because individual achievements cannot solidify into something lasting. Assets become passive, capabilities on disabilities in the blink of an eye. The new model of hero is the winner who aspires to fame, power and money, above all, without caring anything else. Therefore, the winners in this society are agile, light and volatile people like commerce and finance are. Hedonistic and selfish people, who face novelty as good news, precariousness as a value, instability as an impetus and hybridity as a wealth. Liquid life assigns to the world and to things, animals and people the category of objects of consumption, objects that lose their usefulness at the same time they are used. In such a society, loyalty and commitment are cause for shame rather than pride because they are lasting values. In a world of business and practical nature like ours (a world that seeks immediate benefit) subjects of study such as history, music, philosophy … that contribute to the development of the human being, rather than a social, political or economic advantage, are a danger. Because the human being has stopped having “human” value to become a simple object of production or consumption. The aim of this program is thinking and discussing about different models of heroes through different disciplines. A necessary reflection on a reality that exists almost anywhere in the world. From September, 10th to December, 10th 2018. We offer to artists in residence the possibility to sleep in a typical local house in a historical moorish location: La Cueva (Monteagudo District) in a fertile area/farm. An authentic and confortable space, only 20/30 mins by bus / bike to the city centre. There are three rooms. A studio with a big table + patio/garden + garage working space + outdoor space. 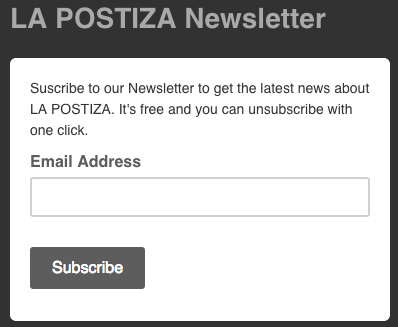 La Postiza is not able to offer grants for resident artists at this moment. We can assist artists seeking grants in your country or institution, by providing an invitation letter or preparing a detailed budget. Residency is not confirmed until payment is received. Fees include: Acommodation, 3 Bikes to share, official certificate (if requested), curatorial ongoing advice, support (available to assist the artists with any issues that may arise, as well as make introductions in the local artistic community. The host helps the artist connect with the place they are in). studio, WiFi, pick up from the airport/train/bus station, local event (presentation and/or exhibition at a regional gallery), publicity, press release, Catering at the event. Expenses paid by the artist: daily living expenses, travel and public transport. Residents will be selected by a qualified jury of art professionals from LA POSTIZA Creative Centre Team and other collaborators from Murcia, based on the quality of their work, commitment to their practice, and ability to interact positively with the territory. If your proposal is selected, we will send you an email within not more than two weeks.